Get the Very First Provo Ride Guide at Bike to Work Day Tomorrow! 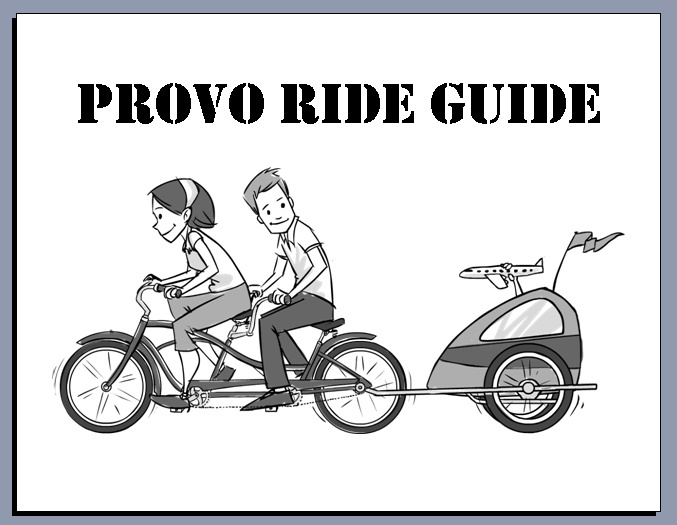 The very first Provo Ride Guide zine is hot off the presses. It includes a list of some of the best rides around town, a break down of our local bike laws, an incredible photo of some old-school Provo cyclists, delightful flat-repair instructions hand-drawn by the bike committee chairman, and a lot more. Be the first to get a (free) copy by showing up at Bike to Work Day tomorrow morning! If you forget, you can pick one up when you come to tomorrow night’s annual bike-in movie. See details on all the Bike Week events here. Also, I finally got to use the word “mustachioed” in print. So, it’s a good day.